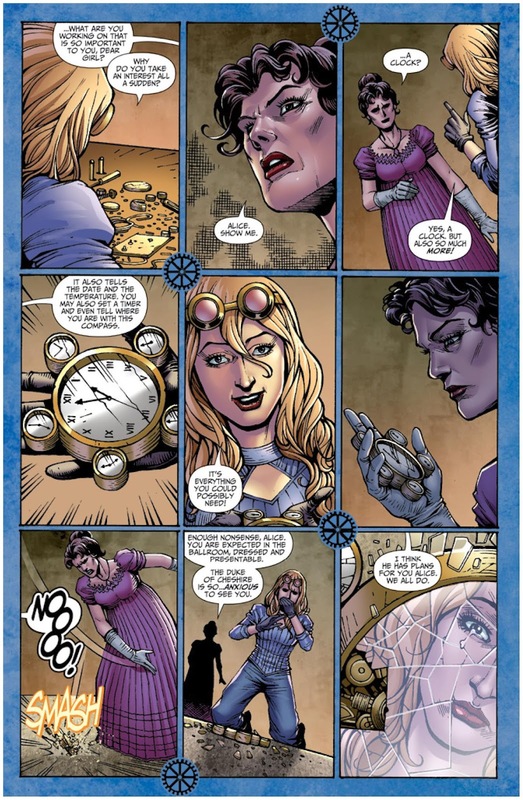 The Fellowship has obtained a first look at GRIMM FAIRY TALES STEAMPUNK: ALICE IN WONDERLAND from Zenescope Entertainment. 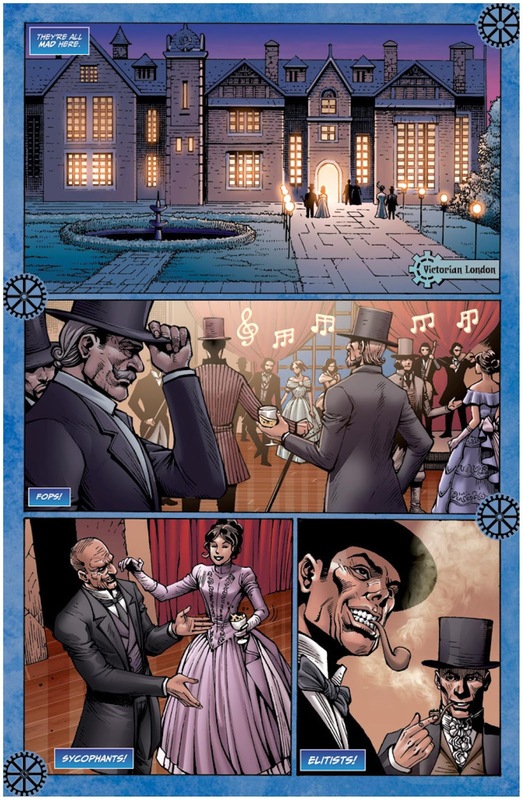 The issue, which hits stores February 8th, is written by Ryan Fassett, drawn by Ftitz Casa and Noah Salonga, colored by Erick Arciniega and Robby Bevard and lettered by Taylor Esposito of Ghost Glyph Studios. 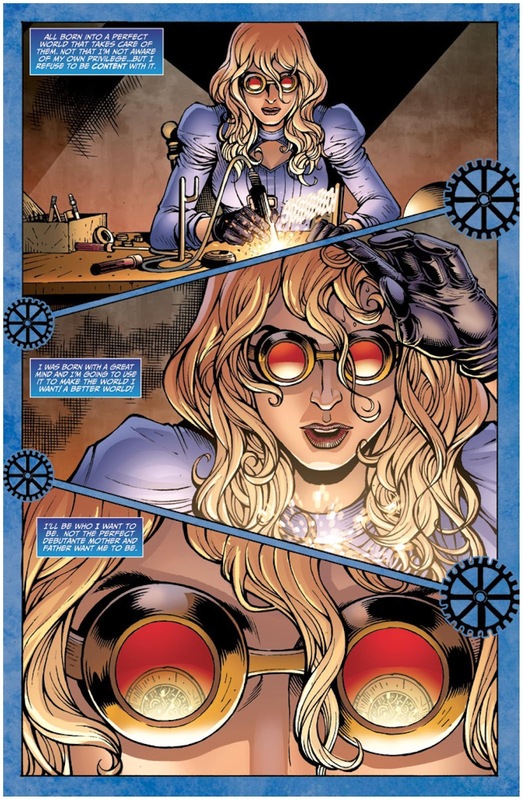 Grimm Fairy Tales: Steampunk introduced an alternate version of the Grimm Universe, where the characters we’re all familiar with have been reimagined in strange and fascinating ways. 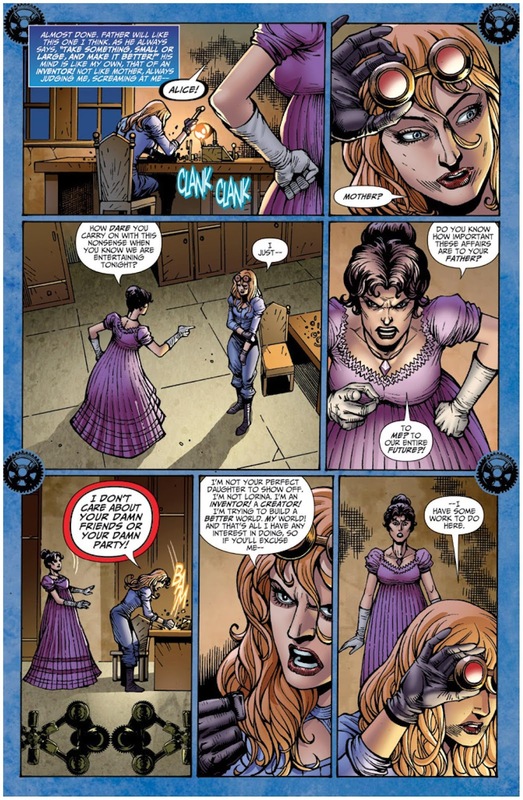 Each of these characters has their own story... and this is the story of Alice Liddle. 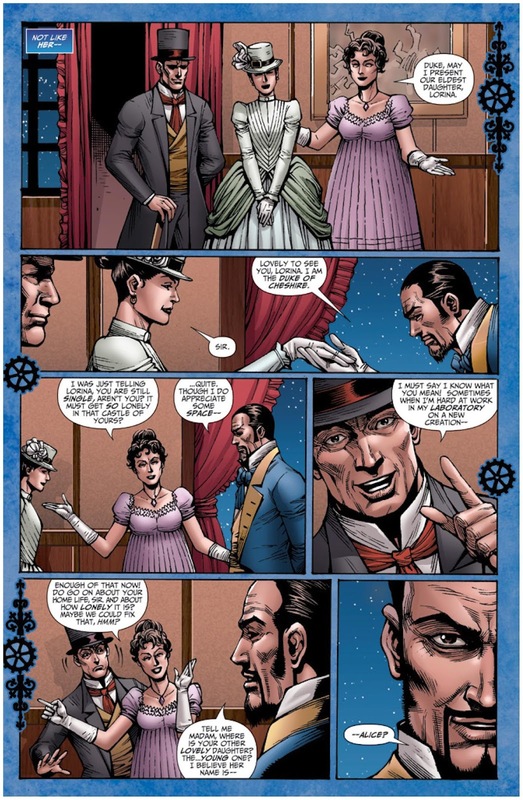 In this warped version of Victorian Britain, Alice would much rather spend her life inventing new technological advances than parading herself around at her parents’ social gatherings. However, when something very curious happens, Alice suddenly finds herself in a strange land, the likes of which she has never seen before!